Self-proclaimed “cosmic American” band Wilder Maker are set to release their new record, Zion, July 13th via Northern Spy Records. The latest single “Impossible Summer” is swirling and soothing, like the cool breeze that cuts the oppressive feeling of an August afternoon in New York City. Frontman Gabriel Birnbaum wrote the song about a time when he was losing touch with reality. Though written by Birnbaum, “Impossible Summer” is sung by longtime collaborator Katie Von Schleicher, who breathes a poignant softness into the track. “I cannot explain that summer,” she sings. Their “Impossible Summer” will leave you scrambling to find any words at all. How often do you encounter a tune so inventive it sounds like Radiohead took a road trip with Joni Mitchell? Wilder Maker once again defy genre stereotypes on their newest single. 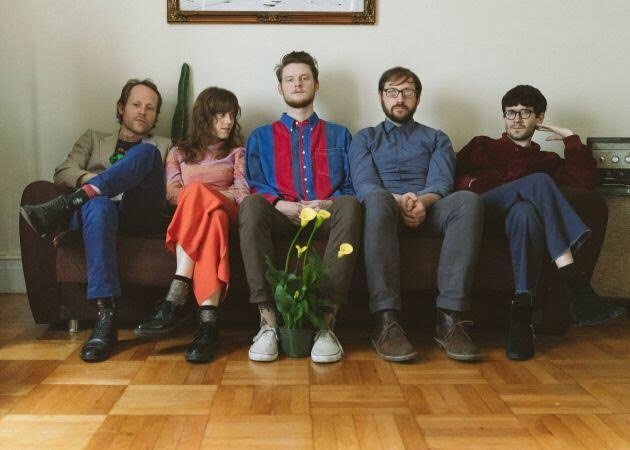 The Brooklyn-based indie outfit skirt the confines of the typical “folk” sound, so it’s not fair to apply that label without tacking on some hyphenated sub-genre qualifiers. Their previous track was well praised, the engrossing “Drunk Driver” also from their upcoming Zion album. Of the many thousands of bands within the indie folk scene, few (if any) display the creative brilliance of Wilder Maker. These musical chameleons offer plenty for all music fans to love.